The accounting firm Hewn Group has offered the following discounted services to TCT Member Churches and Planters. Contact Hewn Group for more information and mention that your church is part of the Treasuring Christ Together Network. Service is a holistic payroll solution. TCTN church would provide salary, housing payments, and benefits as well as submit hours and reimbursement amounts if applicable; Hewn Group would administrate all other payroll tasks. Service is a monthly after-the-fact bookkeeping. This means that Hewn Group would be using bank/credit card statements in conjunction with cash receipts to do the books. We believe that lasting joy is found in cherishing Jesus of Nazareth as Lord and Savior. Before we will help others prize Jesus, we understand that our own hearts must treasure Him. Put simply, we cannot export what we do not possess. Do We Have a Policy? Subtitled: ‘Paul's Ten Point Policy for Church Health and Growth’. What are our aims for the shaping of our church fellowship, and for its growth? Do we have an agenda or framework of desired objectives? 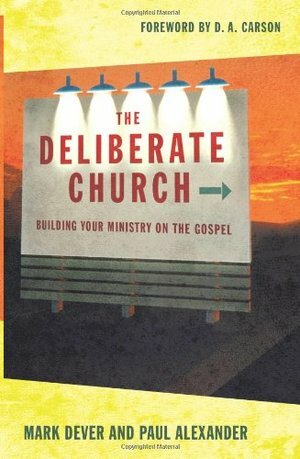 The apostle Paul had a very definite policy, and called it his 'purpose', using a Greek word which means – a plan or strategy displayed for all to see. 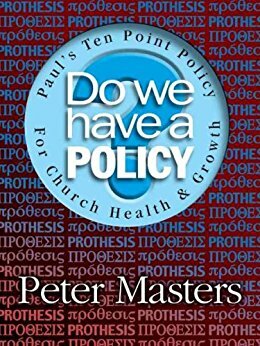 This book sets out ten policy ideals, gleaned from Paul's teaching, all of which are essential for the health and growth of a congregation today.